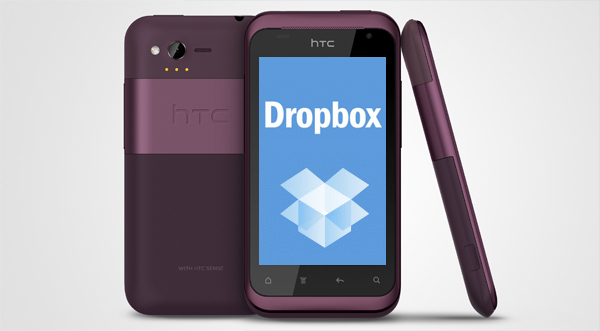 Leading Android handset maker HTC has partnered with Dropbox to offer new customers 5GB of free cloud storage. Last month, Pocket-lint reported that Dropbox would come pre-installed on all new HTC handsets that run its Sense 3.5 user interface. The news today confirms that anyone with an HTC handset will have access to the complimentary cloud storage. Dropbox currently offers any user 2GB of free storage. For $9.99 a month, users can upgrade to 50GB of storage, or 100GB for $19.99 a month. Anyone who downloads the free Dropbox app can gain mobile access to the free 2GB offered through the service, so while the HTC does offer added value to its customers exclusively, the benefit of at least some free Dropbox storage isn’t limited to HTC’s Android customers. HTC’s deal with Dropbox does, however, strike a direct blow at Apple, which also now offers users of its iOS devices 5GB of free storage through its newly launched iCloud service. For users who opt-in to the service, any media purchased through iTunes is automatically uploaded to iCloud, and does not deduct from the allotted storage. Users can also choose to have all their new photos, up to 1,000 pictures, automatically uploaded to iCloud. Users of iCloud can also upgrade to 10GB for $20 a year, 20GB for $40 a year, or 50GB for $100 a year. Big picture-wise, it would appear the trend toward storing mobile data on the cloud is on the up-and-up. This likely means that, at some point in the near future, internal storage will become a less and less important spec for mobile devices, and cloud services – like music and video streaming – may eventually become the norm. Excited? We are.